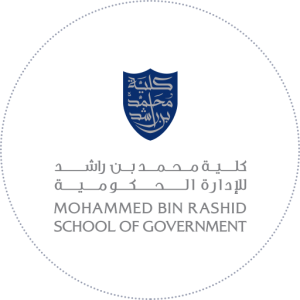 Mohammed Bin Rashid School of Government (formerly (Dubai School of Government) was launched in 2005 under the patronage of His Highness Sheikh Mohammed Bin Rashid Al Maktoum, UAE Vice President, Prime Minister and Ruler of Dubai as the first research and teaching institution focusing on governance and public policy in the Arab world. The School aims to support good governance in the UAE and the Arab world, and build future leaders through an integrated system offering education and training programs, as well as research and studies. The School’s operations are founded on global best practices developed in collaboration with the Kennedy School at Harvard University, and it is considered a unique model for academic institutions in that it focuses on the practical side of governance. The School also collaborates with several government and private institutions both regionally and internationally. The overall design and implementation of training programs is built on the foundation of scientific thought and is inspired by the reality of Arab public administration and with a view to addressing the issues and helping future leaders meet the challenges facing public administration in various parts of the Arab world. The School also organizes international and regional conferences and specialized workshops, and holds forums to facilitate the exchange of ideas and knowledge between Arab region and the world.